The Bunan are a little-known people group. They are not mentioned in Chinese literature, so it is uncertain how they are officially classified. They may have been included in the Tibetan nationality because of linguistic and religious similarities. 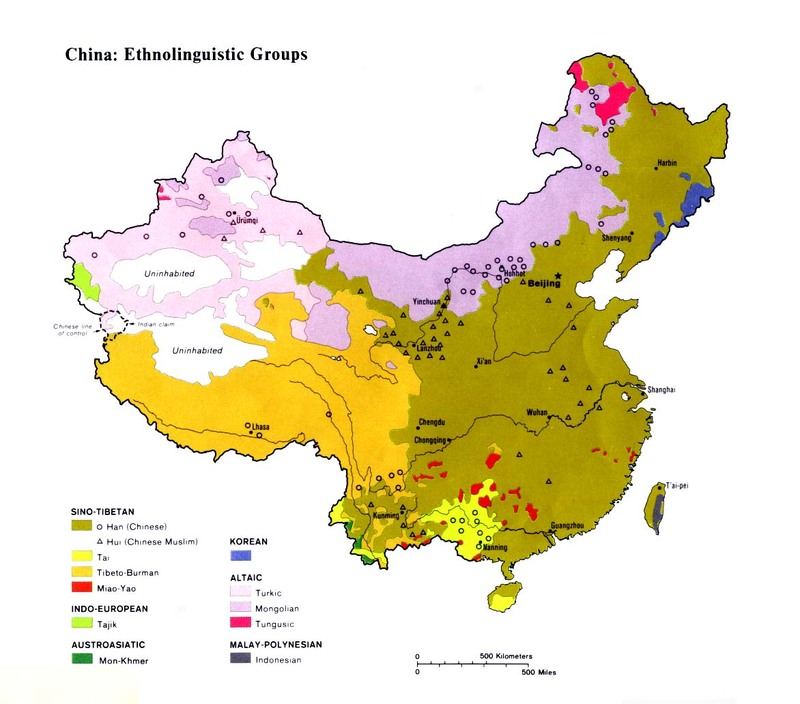 The area of China where they live is so remote that it is possible they were not counted at all in the Chinese census. Numerous small ethnolinguistic peoples live along the Tibetan border with India and Nepal in very sparsely populated locations. China and India had several armed border clashes in the 1950s and 1960s. China has since claimed thousands of square miles of territory from India, including the area inhabited by the Bunan. Bunan culture has been heavily influenced by their devotion to Tibetan Buddhism. Their lives are a long struggle against harsh winters. Because very little fruit or vegetables can grow in the Bunan region, their diet is comprised almost entirely of meat, fat, and yak yogurt. Many Bunan make annual pilgrimages to Lake Manasarovar and Mt. Kailas - two holy Buddhist sites in western Tibet. The Bunan are trapped in an endless cycle of doing good works, a vain bid to ensure a better reincarnation in the next life. The Bunan's isolated homeland is so remote that few outsiders have ever traveled there. The Indian government, who also claim the territory inhabited by the Bunan, did not find out that the Chinese had built a road there until two years after it was completed. The Bunan in India had parts of the Bible translated into their language by missionaries in 1911, but these have been out of print since 1923. Currently the Christians located closest to the Bunan are the small number of Moravian believers found among the Ladakhi people of northern India. View Bunan in all countries. 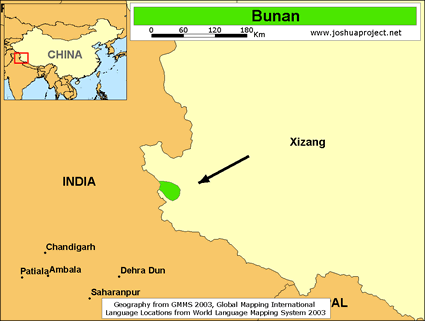 Location in Country: Approximately 6,000 Gahri (Bunan) people live on both sides of the remote India-China border in the western Himalayan mountains. 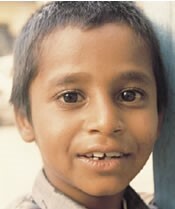 The Ethnologue lists a 1997 estimate of 4,000 Gahri living in the Gahr Valley in the north Indian state of Himachal Pradesh. A further 1,500 Gahri people live across the border in an extremely isolated area of western Tibet.